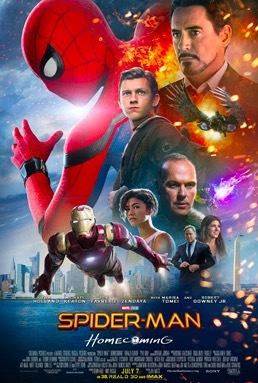 It’s almost predictable what Spiderman movies would be like. Spin few webs here and there, save a big vehicle from disaster - a train or a ship or a plane, love a girl and use his skills to impress her and in the end fight an enemy, starting off with some small attacks being handled. But Spiderman homecoming takes it to another level. The first half is barely interesting even for kids and I am not sure how Marvel thought they can keep the audience glued to the screen. The 3D effects are NOT the most brilliant or spectacular either. Bringing in the character of Stark to this movie the focus is split between the super heroes as well. Add to that a friend knows who spiderman is makes it worse. Just to save the world from weapons of mass destruction spiderman brings down a plane carrying those weapons. I mean as though a person handling owning these weapons only had a planeful of them - kind of absurd for a company like Marvel to think of. In short - its definitely NOT value for your money and you are better off waiting for it to appear on amazon or google movies to watch it at home. If you want to read how badly Spiderman did at the box office in USA, click here to read what Forbes has to say as well. You can see that the profits dip is one of the worst for the second week. Save your money - and put it on something better at the box office.